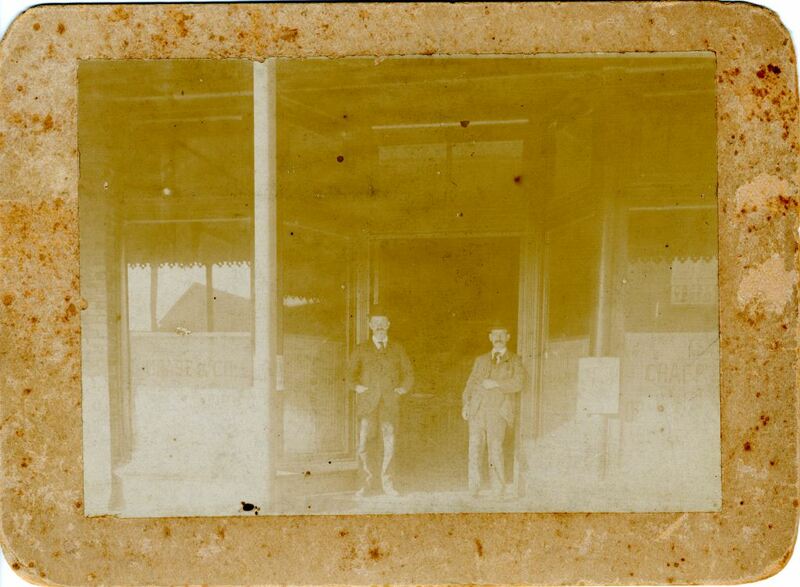 Brothers and business partner Joshua Coffin Chase and Sydney Octavius Chase in front of the Company office, located at 110 West First Street in Sanford, in 1895. Chase & Company was established in 1884 by the Chase brothers. The company sold insurance and later invested in storage facilities and fertilizer sales. Chase & Company was known mainly for its agricultural interests and maintained a series of citrus groves throughout Central Florida. The company was based out of Sanford and became one of the city's largest employers into the early twentieth century. Original 5 x 7 inch black and white photograph, December 16, 1895: Chase Collection (MS 14), box 213, folder 15.101, item CC9, Special and Area Studies Collections, George A. Smathers Libraries, University of Florida, Gainesville, Florida. Digital reproduction of original 5 x 7 inch black and white photograph, December 16, 1895. Chase Collection (MS 14), box 213, folder 15.101, Special and Area Studies Collections, George A. Smathers Libraries, University of Florida, Gainesville, Florida. Sanford Collection, Chase Collection, RICHES of Central Florida. 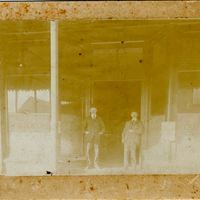 “Sydney Octavius Chase and Joshua Coffin Chase at the Chase & Company Office in Sanford.” RICHES of Central Florida accessed April 20, 2019, https://richesmi.cah.ucf.edu/omeka/items/show/1607.